You know, the time of year when we’ve had enough of hibernating inside away from the cold, the short days and lack of sunshine. Well, Downtown Kingston can help you cure those blues with another year of FebFest programming! 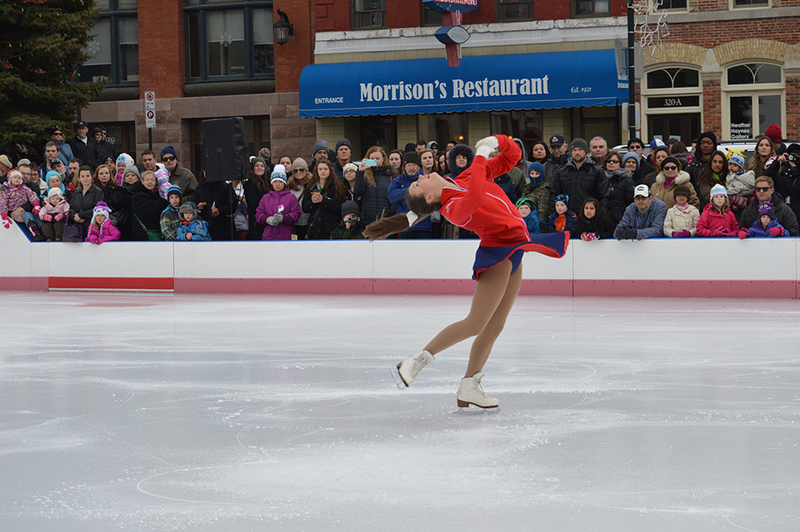 Make your way downtown from Thursday, February 2nd until Sunday February 5th to soak up the fun! 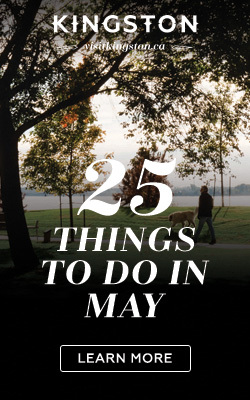 Personally, I’m looking forward to experiencing it again this year – in years past, the family and I have enjoyed live music at night in Springer Market Square after sampling Toast to Tapas specials at local restaurants. We’ve skipped the afternoon from school (shh, don’t tell) to explore the snow maze, admire ice sculptures and go sliding down ice slides (yes, even us adults recaptured our youth for a few fleeting moments)! We’ve watched an historic hockey game in Springer Market Square, sampled maple candy and maybe even ate Beaver Tails for dinner! I’ll slip down to Springer Market Square after work to check out the opening ceremonies AND the unveiling of the Tragically Hip Commemorative Stone (were you one of the lucky ones who got the pewter ornament?) – then I’ll skate the night away to the Hip soundtrack being played rink side! This is also the night of the annual Carr-Harris Cup, an annual hockey game pitting Queens against RMC, although I’m not a hockey fan (gasp!) I’m sure it will be an exciting game! 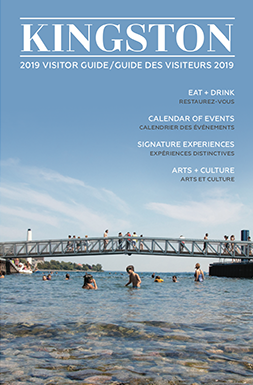 First up, a trip to the Visitor Information Centre for some cookies and apple cider and a walk through the Ian Walsh Photography Competition Exhibition (on display all weekend). Cast your vote for the People’s Choice Award, because the winner will be announced on Sunday at the Imagination on Ice figure skating show! Next, How about an after work tapas and pint at one of the restaurants offering up a Toast to Tapas special, followed by the Kingston Frontenac’s game at the K-Rock centre? 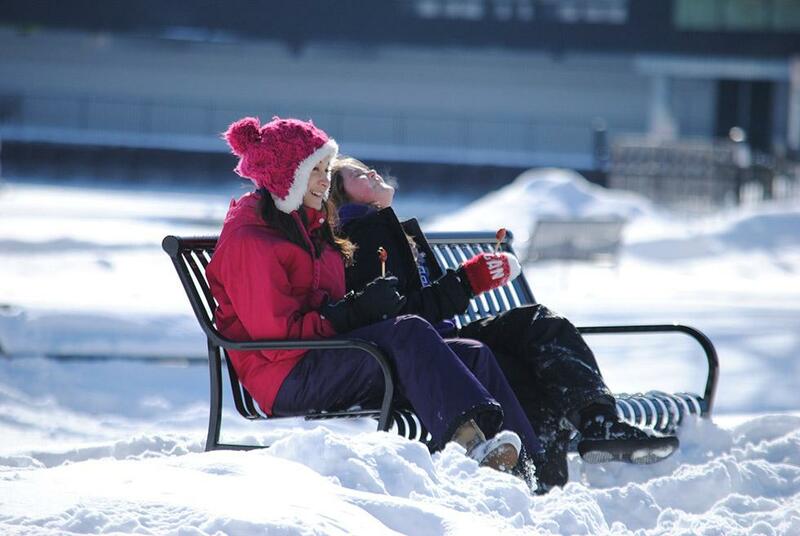 Or, if you’d rather lace up your skates, perhaps consider a night skate at Springer Market Square. 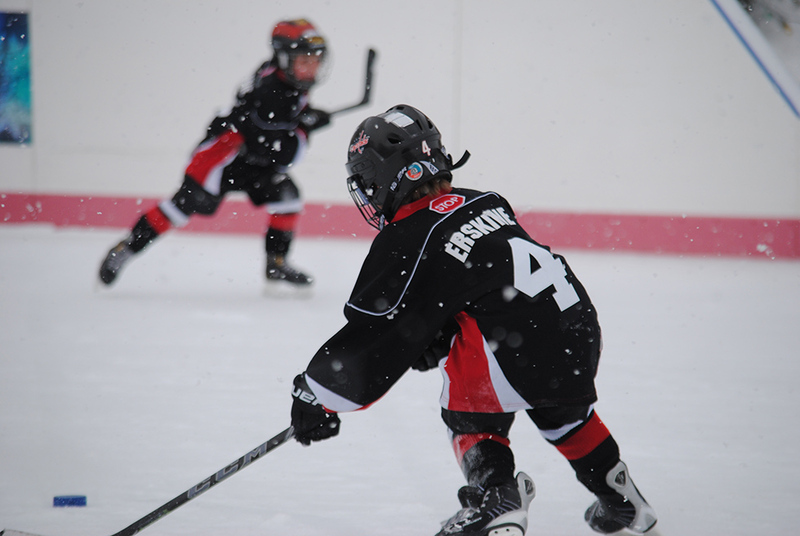 Hockey Day in Kingston! 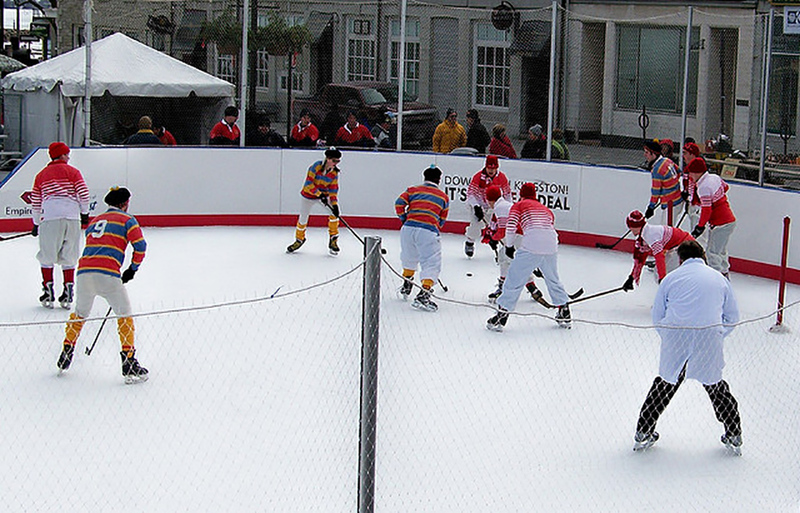 Even if you’re not really a fan of our national pastime, surely the proud Canadian in you will delight in some of activities planned – Even I took in the Annual Historic Hockey Series last year (the uniforms alone will delight)! But put the modern hockey game out your mind when you settle down to take in the series – it’s sort of a reenactment on how the game was played in the late 1800’s when RMC and Queen’s played their first organized game against each other; the rules and the puck are a bit different than what we’re used to now! 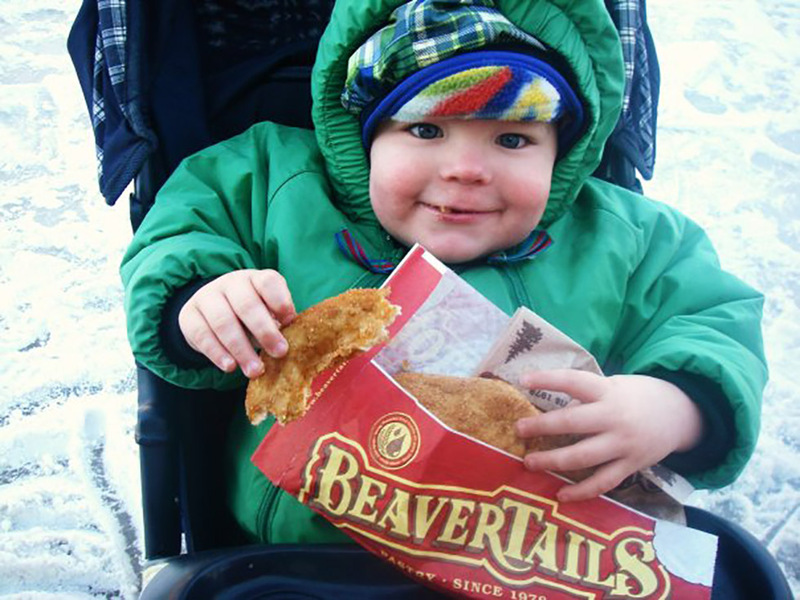 Maple candy and beaver tails are definitely on the menu today, and probably a horse drawn wagon ride! If you have yet to check out Lumina Borealis (or want to experience it again), this is the LAST night you will have the opportunity. Country music fan? Brad Paisley is in town at the K-Rock Centre (and you can win tickets)! I don’t know about you, but my February Blues should be taken care of by the end of the weekend!